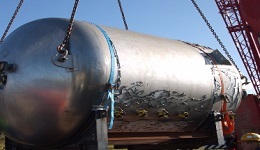 Aldox Expansion Project, Welding and Fabrication of Steel Drums and Installation of Steel Platforms. 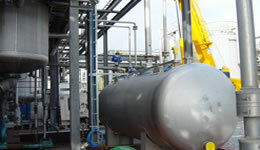 MSL also provide continuous plant maintenance support to Cognis Ireland. On this project MSL were appointed the PSCS (Project Supervisor Construction Stage) and managed the mechanical, structural steel, civil, electrical and instrumentation works, all of which had to be completed for the end of a planned 2 week shutdown in September 2014. The scope included installation of a glass lined reactor, installation of new structural steel and modifications to existing, replacement of several chilled water / cooling tower water pumps, installation of dozens of double regulating control valves, installation of pressure and temperature instrumentation, installation of VSDs and modifications to MCC panel.